What are the documents required to obtain a consultant engineer card? Fill in the engineer card application form. Engineer's passport with visa on the same company (original & copy). Valid membership of the Society of Engineers. Note: There is a site test for the civil and architectural engineers. What are the documents required to obtain contracting engineer card? How can a contractor or consultant enquire about its violations? 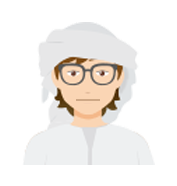 How can we learn about the laws concerning the contractors and consultants in the emirate of Sharjah? How can I know the procedures for renewing a normal building permit? How can I know the procedures for refunding security deposit after the issuance of reinforced building completion certificate? How can I know the procedures for obtaining a temporary fence permit for construction sites? How can I know the procedures for obtaining a temporary permit for the investment parking lots? How can I know the décor permit procedures?